WASHINGTON (NNPA) – Nearly three decades ago, a handful of prominent Black activists began organizing a movement that would eventually help break the back of apartheid in South Africa and force the U.S. government and American companies to end their support of White minority rule on the continent. What was called the Free South Africa Movement began on Thanksgiving Day 1984, when then-U.S. Civil Rights Commissioner Mary Frances Berry, TransAfrica executive director Randall Robinson, then-D.C. Congressman Walter Fauntroy, and current-D.C. Delegate Eleanor Holmes Norton (then a law professor at Georgetown University), were granted a meeting at the South African Embassy in Washington, D.C. The group called for an end to apartheid and the release of all political prisoners in South Africa. When their demands were ignored, the activists staged a sit-in at the South African embassy on Massachusetts Avenue, N.W. All but Norton were arrested for trespassing, and their actions made national, then international news. They got arrested the next day, the day after that and the following day. In fact, every day for a year, the Free South Africa Movement held demonstrations at the South African Embassy in Washington, D.C. The nascent movement attracted support from celebrities, members of Congress and other high-profile people, many of whom joined the protest and allowed themselves to be arrested in order to draw more attention to the issue. Before long, chapters of Free South Africa sprang up across the United States. 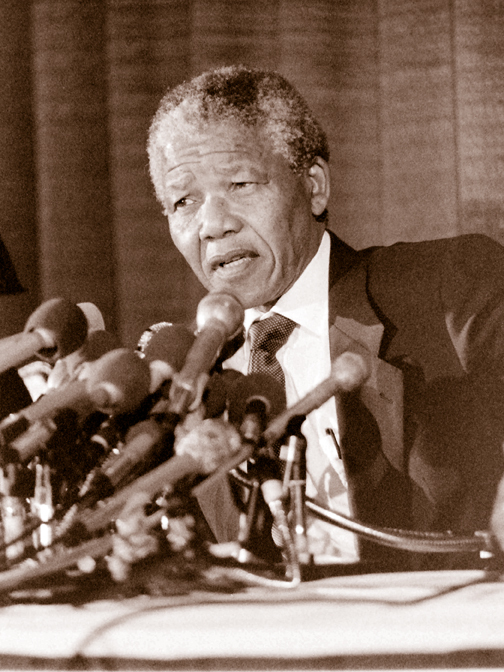 Mary Frances Berry, a professor of history at the University of Pennsylvania, remembers the personal side of Mandela. 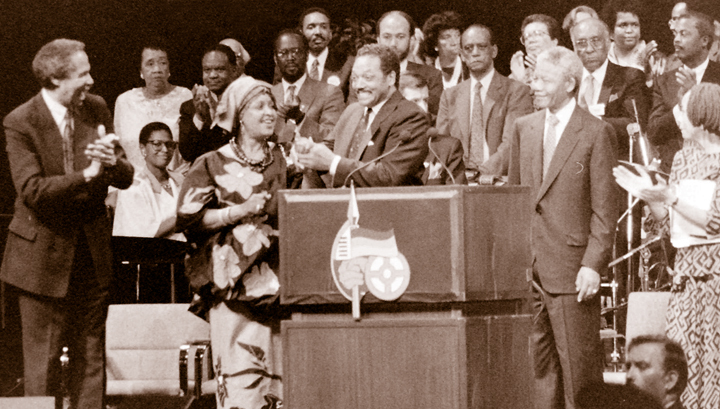 While maintain pressure on the streets, movement organizers organized a legislative assault on apartheid, resulting in passage of the Comprehensive Anti-Apartheid Act of 1986. It took an entire year to get it passed by Congress and presented to President Reagan for his signature. Instead of signing, however, Reagan vetoed it. But supporters had enough votes to override the veto. Next in line were U.S. companies that profited from doing business in the White-ruled nation, including Shell Oil, which had been exploiting workers in South Africa. Boycotts were launched against Shell as well as the Krugerrand, a South African currency that would become an illegal import under the Anti-Apartheid Act. Even while the United States and other governments had condemned Mandela and continued to support the South African government, anti-apartheid movements gained traction. Something about South African apartheid had struck a chord, especially for people of African descent. Melvin Foote, founder and president of the Constituency for Africa, has worked to foster African and African American relations for more than 35 years. He remembers watching Mandela become a global symbol of injustice. Foote sees parallels between Black South Africans’ regard for Barack Obama, and Black Americans’ regard for Nelson Mandela, especially for those who visited South Africa during Mandela’s presidency. For Berry, Mandela’s life and anti-apartheid work taught her that movements require perseverance, especially during low moments. And, she learned how to make movements effective.